Well, It’s been more than an year since I entered the corporate world. One most important thing I learned is, how to pretend you are interested in what ever they are talking bout in the meetings, coz you can’t sleep. PS : Increased the contrast using picasa … so images might appear little F***D up. She hung her gray cloth coat on the fence at 86th floor of the Empire-state, put down her pocketbook with several dollars and a make-up kit filled with family pictures. She dropped the note and herself from the observation deck. Both of them came to rest at the same time, only the note was still at desk and her body was lying with serenity amidst the crumpled wreckage of UN limousine. 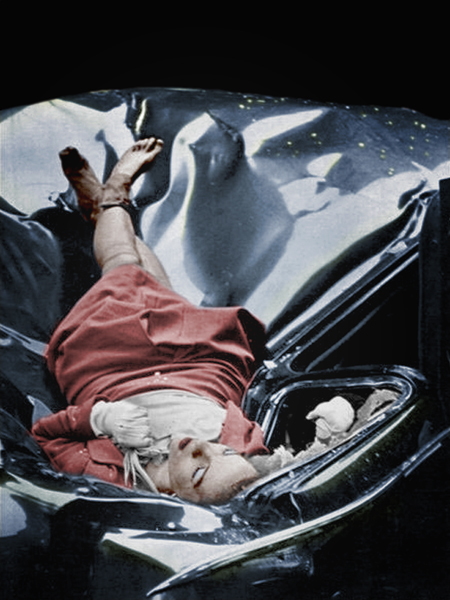 After jumping from the observation deck, 23-year-old Evelyn McHale plunged over 300 meters down Empire State Building and landed on the roof of a parked UN limousine. PS : pic taken from here. If u have never heard about “Rakhi Sawant ka Swayamvar”, then please do me a favor and jump off the roof of your building. 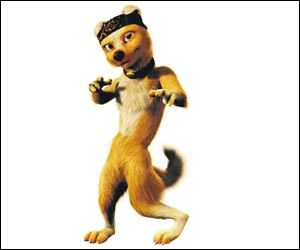 And if you are sleazy or lazy enough to not compile my request then you can read bout it here . Once it so happened that I clicked on this youtube link which directed me to NDTV imagine’s youtube page, and I ended up watching all the RSS (read as rakhi sawant’s swayamvar) episode’s there and I am not ashamed of my deed. The show tells you about the Indian culture; how the princes from different states used to compete with each other to woo the princess with biggest Brr…. I mean Heart in the whole nation. Its like the mythological serial with modern character, “rakhi devi ko dekhte hi saath man bakti bhavna se oot prot ho jaata hai” something of that sort. The show is trying really hard to increase the awareness about a serious social issue, i.e. Female Infanticide. Seriously now you can clearly see how worse the conditions are in India when 16 (gabru naujawan) Handsome Hunks (all puns intended) has to contest with each other to marry … Rakhi … yes … the Rakhi Sawant. So, we should all watch the serial to promote such noble cause, devi Rakhi has come up with. If still not, then please please please watch it for the poor aspiring actors (to be rakhi’s groom), they have sacrificed so much to come in limelight. I mean actually signed up to “might be lawfully wedded husband” of The Rakhi Sawant. They are either out of their mind or really really desperate. I m really sympathetic to all of them … which so much capability and originality going without notice. Alright, that’s all I could do to persuade you … if you still feel like giving this show a skip… then read the PS…. PS : The best thing about the show is, it proves why they call the TV an Idiot Box.